We offer fine art prints in three different treatments to match your needs - traditional paper, canvas and metal. Printed canvas is stretched, mounted, and framed in either brown or black. There is no plexiglass front. it is a direct experience with texture from the canvas creating some visual engagement. The process uses pigment inks that are archival, and expected to last more than 100 years with proper care (no direct sunlight and no foreign substances). Traditional custom inkjet prints are printed by a master craftsman using state of the art, archival materials. Prints are matted with 3" of white matte and secured with hand-built, white wood frames and UV absorbing plexiglass. Prints are archival and rated for more than a century of viewing with no color shift with proper care. The most modern treatment we offer is printed metal. The image is bonded to a single sheet of metal, using a proprietary process by local craftsmen. The surface includes a protective layer that adds apparent depth to the image while protecting it physically. image are framed with metal frames and extended from the wall with a float. Prints using this archival method are rated to last more than 150 years. All sizes are approximate, and subject to the final cropping of the image. Delivery will take approximately 10-14 business days from ordering. We accept returns of prints that are damaged or unsatisfactory within 60 days of purchase, and will offer gallery credit, a replacement or a refund. All sales are subject to California and Alameda County sales tax of 9.5%. 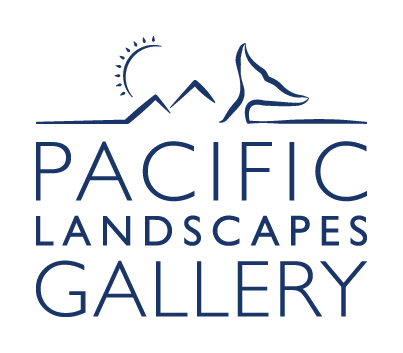 Please call (510) 999-7001 or email orders@pacific-landscapes.com to order and arrange payment.